The Jalapeno... My favorite Pepper. My favorite way to eat it is in popper form, stuffed with cream cheese and deep fried in a fluffy beer batter. Yummmm. I'm drooling just thinking about what I'm going to do with these peppers. So this year, I'm starting 8 plants, with the hopes of recreating the bountiful harvest we had the year before last. Jalapenos take a little work as they grow and develop, and it takes a long time to nurse them up to where they'll bear fruit. 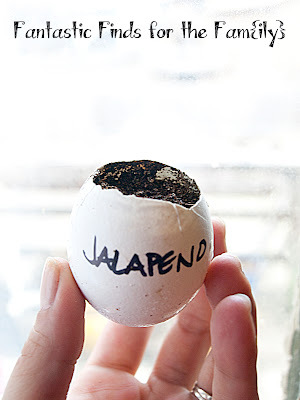 This is the technique that I prefer to use when growing my jalapeno seedlings. I start them in pods at a depth of 1/4" (this year we're doing eggshell seed starting on this plant), and keep them warm, about 70 degrees. They will sprout somewhere between 10-25 days from when you plant the seeds. When they have three true leaves, I move them into a 3-5" pot, where they'll stay until they are about 4" high and the soil is warm outside and the danger of frost has passed. They like the sun outside, and they like to be mildly watered, not soaked. When the weather is very hot, it pays off to water them multiple times during the day. Droopy leaves are a sign that you aren't watering them enough. 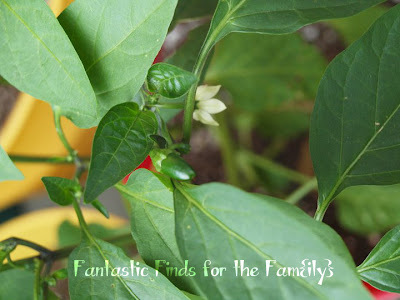 They are easy to grow in containers, and this is how I've grown my best jalapenos. They need about 8-10" pots for a full sized plant, in a loam based potting mix. Your plants will reach maturity close to 65 days. Harvest the Jalapenos when they are green, and about 3-4" in length. Continual harvesting will encourage more fruiting, so go out every day to check your harvest! They will store for up to 3 weeks in the refrigerator in a paper bag.